Are you dreaming about your own Escape On The Lake? A lake side cottage or a 4-season home? Well, open your eyes to all that Hayward, WI has to offer. A small town feel with the Northwoods sound of loons calling and fireplaces crackling. People come to the Hayward area to fish, ski, golf and hunt. The possibilities are endless. 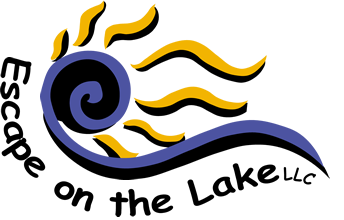 Escape on the Lake is a true Northwoods Real Estate company. Our services include selling homes for the highest price point in the shortest amount of time, showcasing your home on various websites and multiple listing services (MLS). Provide property photos, creating color brochures, performing detailed market analyses and staging your home to appeal to the masses. To get information about your piece of heaven in the Northwoods, call Gail at 651-303-2476. Round lake, known for its trout fishing and clear water.